We hope everyone enjoyed a fabulous July 4th holiday—no matter what day you celebrated this weekend. 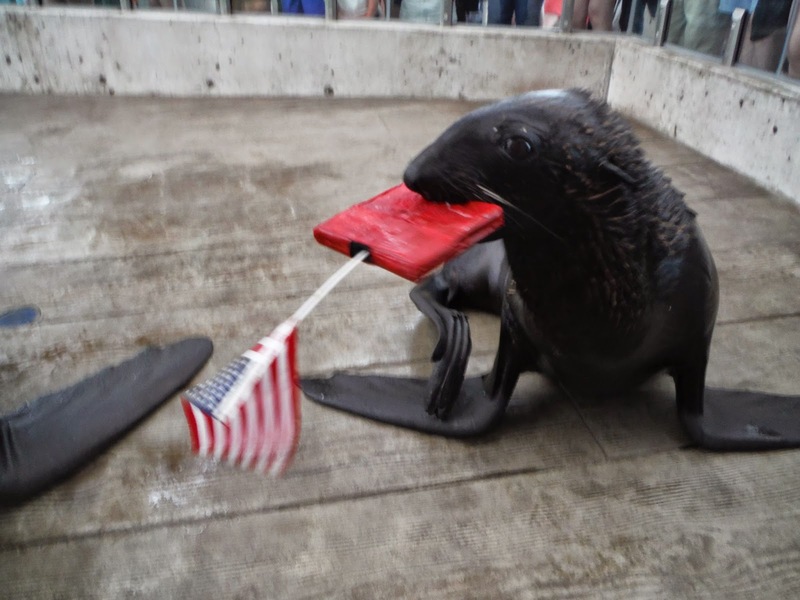 Here at the marine mammal center (where a roof protects the open-air exhibit from the full brunt of the elements, thank you very much, Arthur), the seals got festive with some enriching toys during their training session. Here's Leu demonstrating his flag waving skills. You're a grand ol' seal! Now that you're here, come stay a while and get to know Leu! Remember when he first arrived after being rescued from a beach in CA? Did you know Leu can play catch?